Your first consultation with an Osteopath is similar to a consultation with a family doctor. Your Osteopath will need to know the nature of your complaint, the site and type of your symptoms and how and when the problem developed. We will need to know whether you have had a previous history of this, or any similar complaint and any examinations or treatments you have had in the past. We will also need details of your past medical history including any serious illnesses, accidents, including road accidents, broken bones or operations you have had in your whole life. Some people find it helpful to jot down the history of the problem in date order, noting any treatment or imaging such as X-rays or scans they may have had. It is helpful to bring the clinical report of any tests or scans you have had in the past and also a list of any medication you are taking. If you are not sure, bring the prescription with you. 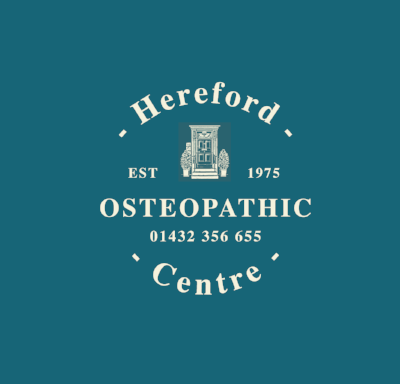 After the consultation, the Osteopath will take the time to talk through the problem, to give you a better idea of what has happened and what could be done, unless further tests are necessary first. What should I wear during an Osteopathic Treatment? Generally it is best if gentlemen wear comfortable underpants or boxer shorts and ladies a bra and pants. If your condition is very painful and it is difficult to bend it may be advisable to wear slip-on shoes and easily removable garments. Teenagers and those who feel anxious may prefer to bring a light pair of shorts and/or T shirt to change into. It is worth considering that denim jeans have hard seams and can be rather tight, making movements of the legs difficult. For later treatments it may not be necessary to undress; your Osteopath will advise you. At these times soft clothes such as shorts, leggings, soft slacks or trousers or a track suit are best. A loose fitting skirt and blouse is also suitable. Jeans and cords have very hard seams, so would probably have to be removed. Please dress babies and children in easily removable garments as they can become hot and uncomfortable. What should I do after my Osteopathic treatment? After treatment it is best to avoid strenuous activity for at least two days, so it is advisible not to plan to do heavy shopping, housework, lifting or strong exercise. Do not try to "work the pain off". As a general rule, if it hurts don't do it. If you have any specific queries please do not hesitate to ask your Osteopath for advice. If you are concerned about anything after treatment please feel free to email or call the Osteopath. What does an Osteopathy treatment feel like? Osteopathic treatment is gentle and does not have to cause pain or discomfort. If you find that a particular treatment is uncomfortable please tell your Osteopath because there is an enormous range of approaches from which to select and usually something can be found which is effective and comfortable. Some approaches are so soothing that the strongest sensation is of warmth, relaxation and tension being drawn out of the body. Some patients fall asleep. Osteopathic treatment works with the body's health and repair mechanisms, so is a safe and natural approach to health care. The available evidence shows that Osteopathy is one of the safest health professions available - about as safe as visiting your optician. Osteopathy is a recognized health profession. The Osteopaths Act, 1993, provides for the profession to regulate itself under the law for the protection of the public. The profession is organized and run in much the same way as the medical profession. • Full Osteopathic hands on treatment tailored to each individual case.